Brintons is proud to have worked alongside design firm Bates Smart and installation partner Precision Carpets in the supply of over 17,000 sqm custom designed wool-rich Axminster carpets and handtufted rugs for the phenomenal Crown Towers Perth, Australia. Renowned architecture and interior design practice Bates Smart conceptualised the design for the public areas at Crown Towers - one of Australia's finest luxury hotels. 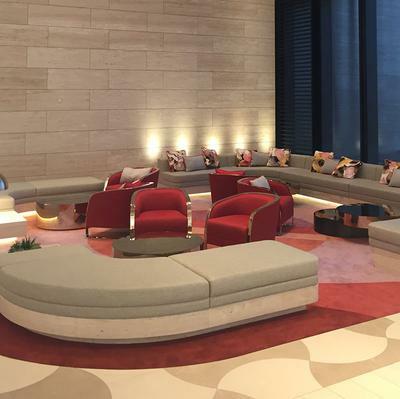 The awe-inspiring result has set a global benchmark in luxury hospitality design. Bates Smart’s creative vision for the interiors was inspired by the hotel's environs, the Swan River and wider Western Australian landscape. The outcome is impeccable. 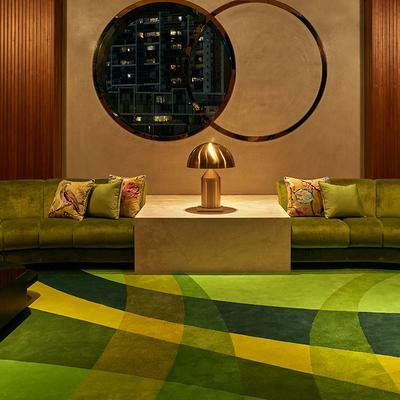 The bespoke interior is meticulous, furnished with high quality, luxurious materials - which includes Brintons carpets. 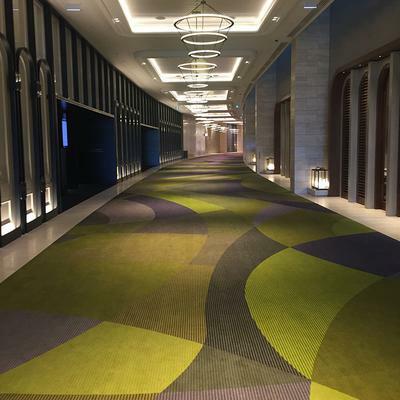 With a working relationship that spans more than two decades, Brintons was thrilled to work alongside the talented team at Bates Smart to develop an impressive flooring solution for the hotel's public areas; lobby, cocktail bar, ballrooms and pre-function areas. The carpet patterning is striking. 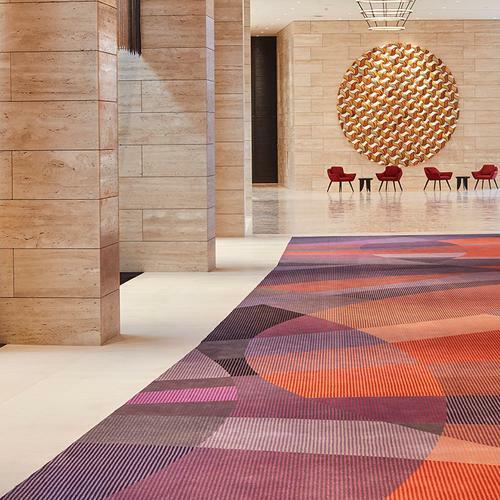 Bates Smart collaborated with New York textile designers Doug and Gene Meyer to create the custom designed carpets in the pre-function corridor. Inspired by 1960s fashion textile prints, the layering of unique design elements, shapes and textures creates a sense of movement and fluidity. The colours are beautifully rich and evocative. 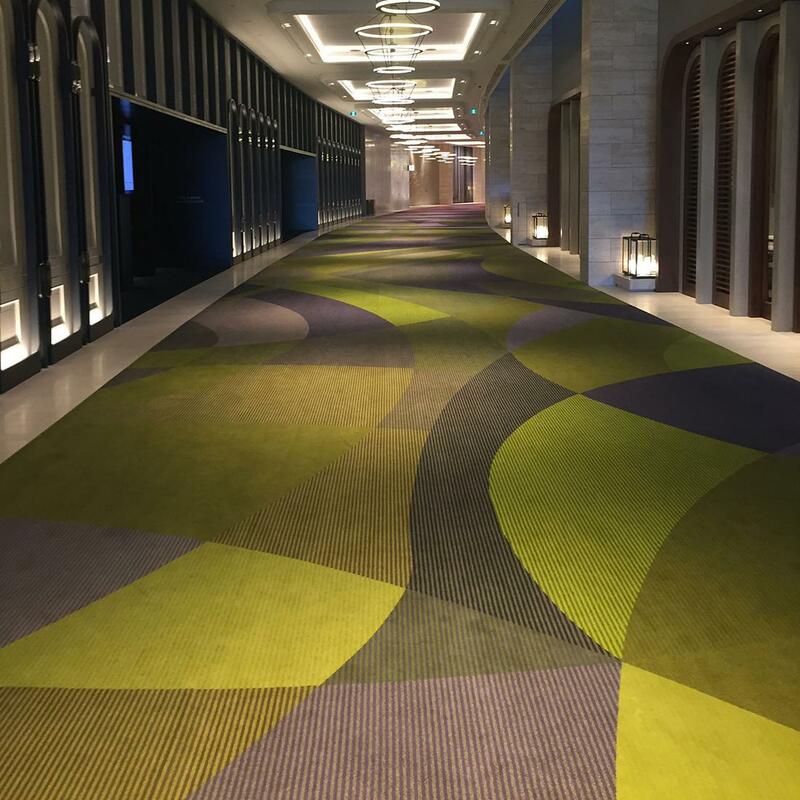 The corridor leading out of the lobby features one of the longest carpet designs in Australia. At well over 100 metres in length, the non-repeating pattern showcases Bates Smart's incredible creative flair and Brintons' technical capability to bring that vision to life.